While in a history class, you will study about the victors who changed the path of history. The Ganges, Napoleon and the Theodore who wrote the fate of the nations into success or disarray. The same way you study the history of the cars that wrote the path of victory. One of the German’s automobile pioneer once launched a city car that was renowned as a sports car. But that single car changed the world of the automobile. And even today it is leading its way among the finest cars of the 20th and 21st century. Well, here we are talking about the Porsche 911. That was 1963 when the 911 came out for the first time. It utilized the old-fashioned air-cooled engine along with some local mechanism. And it took it 35 years to quit that technology completely. Well, since then there have been numerous generations launched for this car. It survived various blows, competed in various motorsport competitions and was featured in a lot of movies. Along with that, it won too many acclaims and awards throughout is a career. And now it has become the base of a lot of other ventures. Up till now, there have been seven major generations for this car. And there are around more than 30 sub-generations beneath the major ones. While the on-going generation came out in 2012 and is classified as the 991. Well, the present day Porsche 911 has 24 models in the range. While they subdivide into 2 trim levels for each model. This certainly makes more than 40 models in the range. And the cheapest among them is priced at $92,150. While the finest one is rated at around $220,500. 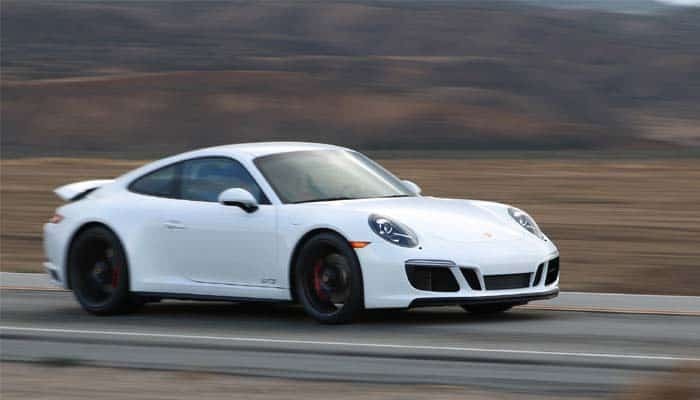 The Porsche 911 offers a variety of powertrains bringing in a plethora of performance options. The recent version was introduced in 2016 with a refreshed powering options. And none of the powertrains go lower than the 6-cylinders. 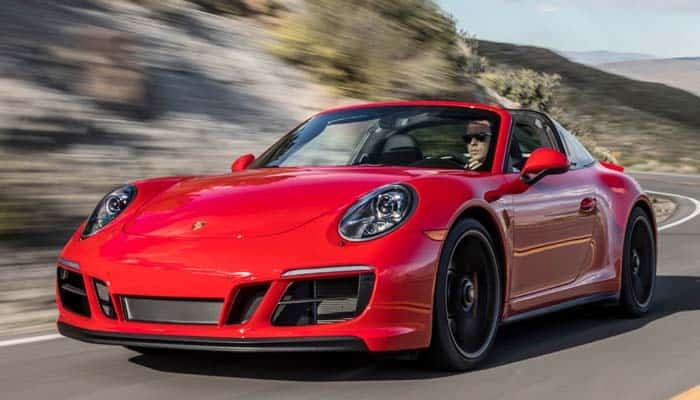 Well, if you go for the Carrera models, you will get the twin-turbo 3.0 cylinder flat-6 engines making 370 hp of power at 332 lb-ft of torque. And this version comes mated with the 7-speed manual transmission. Well, if you go for a mid-level Carrera model you will get 50 hp additional with 369 lb-ft of torque. And this would come mated with the Porsche’s favorite 7-speed automatic transmission. While the finest trim levels have 450 hp of power pounding 406 lb-ft of torque mated with the 7-speed manual. When you jump into the GT3 series, you get the 4.0 L naturally aspirated flat-6 engines. The base variants get 500 hp of power making 339 lb-ft of torque with a 6-speed manual. While the top trims get 20 more horses at 347 lb-ft of torque and 7-speed automatic. 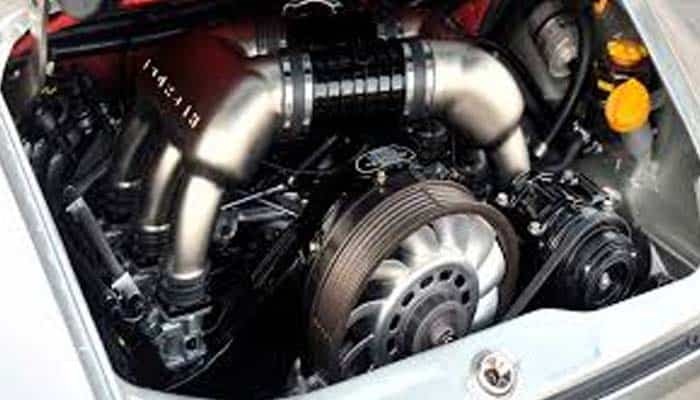 The Turbo and the GT2 series get the twin-turbo flat-6 3.8 L engines. The same engine is presented again and again with mild improvements. The basic version begins from 540 hp of power with 487 lb-ft of torque. The next in line come with 580 and 607 hp of power each. While the sporty GT2 model gets the supreme power of the whole 911 series. It comes with 700 hp of power at 553 lb-ft of torque. Further, these all versions come mated with a 7-speed automatic transmission. All of the 911s are designed the same way. The city variants get the static appearance and a crossover rear. While the sporty editions get enhanced aerodynamics, lower ride, lighter structure, and a large rear spoiler. 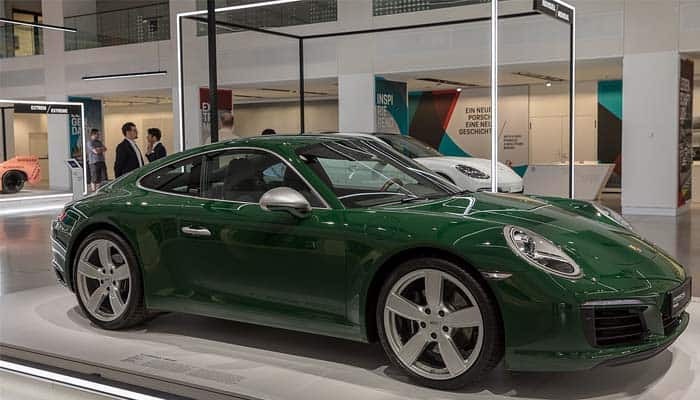 Well, it is just like they are revamped versions of the standard 911s. Further, the cosmetics include the bi-xenon headlights, 19, 20 and 21-inch wheels, LED taillights and fender vents. The sporty editions additionally feature carbon fiber on the bonnet and the roof to cut down some weight. The interior selection is quite classic. Leatherette seats, leather-wrapped steering wheels and gear knobs, lighting package and some other details remain standard for the interior. While the upper trim levels even get the suede involved in the interior designing. Further, the spacing is available for 2 and the luggage compartment is good enough to carry a couple of bags. The personalization includes various seat designs, color combination and some other refinements. 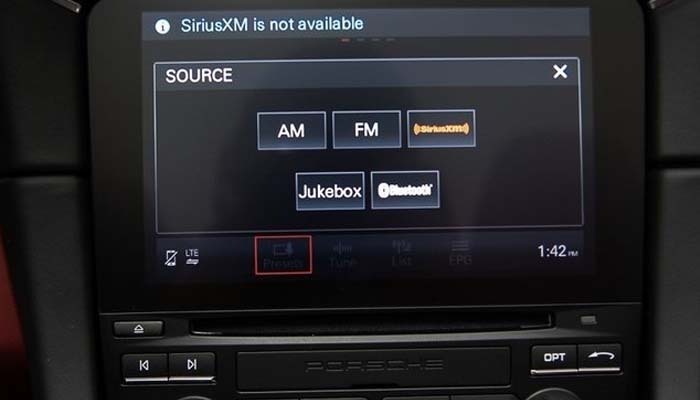 The Porsche Connect comes standard for all the models in 911. It includes a touchscreen infotainment system with a user-friendly environment. Well, the standard features include telephony, smartphone connectivity, Bluetooth streaming, and navigation. Further, in the entertainment section, you get 8-speaker 150-watt sound system as standard. While the Bose and the Burmester sound system remains optional for this car. The safety specs in this car enhance the driving pleasure. Besides the standard airbags and the seatbelts, the 911 features various active safety and driving dynamic tools. The combined safety package gets you the upgraded ceramic brakes, side impact protection system, dynamic headlights system which increases the visibility of the corners and much more. Ahead of that, you get the antilock braking system, traction and stability control, and electronic brake force distribution as standard. The Porsche 911 confronted a whole lot of competitors. 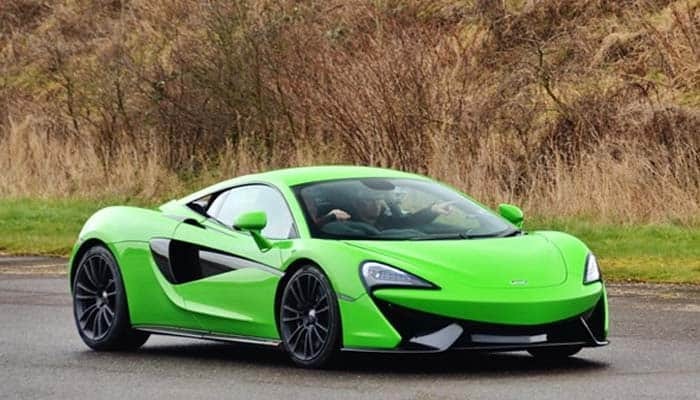 While in the present age, the McLaren 570S stands as its closest rival. Well, the 570S can surely compete for the performance. But when it comes to the interior setting and comfort, the 911 rocks there. The 911 is a dream car. It is filled with poised driving pleasure, and joy of every moment. There is too much comfort and the whole ride is full of enjoyment. Once you drive it, you will never forget it.